Bill Biersach, senior lecturer at USC Thornton, studied electronic music at USC under current faculty member Frederick Lesemann. 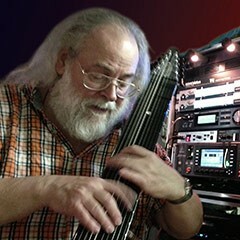 He taught beginning and advanced Synthesizer Techniques classes from 1975 to 2009, and assisted Richard McIlvery in revamping and expanding the Recording Arts Workshop program, which later became the Music Industry program, from 1984 through 2003. Since 1987 Biersach has taught Freshman seminars titled Musical Subcultures of the Sixties. In 1988 he created what has become one of the most popular courses on campus: The Beatles: Their Music and Their Times. The course was selected by Student Affairs as one of the Top Ten Classes at USC in 2012. In 1989 he created a close runner-up: Classic Rock: Popular Music of the Sixties. He is currently also teaching a series of intimate seminars entitled Iconic Figures of Popular Music that is focused on the music and careers of such notables as Bob Dylan, Simon and Garfunkel, the Doors, the Rolling Stones, Frank Zappa, the Grateful Dead, and coming next spring, Captain Beefheart and His Magic Band. In 1986 he wrote the Into the 21st Century Theme for the USC Campus for Leadership fireworks extravaganza. In 1997 he received the USC Gamma Sigma Alpha Professor of the Year Award. In 1998 he was featured in the Channel One production of It Was Twenty Years Ago Today: the Making of Sergeant Pepper. In 2005 he was invited to participate in the making of a documentary to accompany the DVD release of How I Won the War, a 1966 movie in which John Lennon of the Beatles played the part of a soldier named Muskateer Gripweed. For the past six years he has been invited by Orientation Programs to present a sample lecture to the parents of incoming freshmen. His most popular topic has been: Strawberry Fields Forever: The Beatles’ Impossible Song.